I was lucky to receive an ARC of Barbara Claypole White’s debut novel, The Unfinished Garden. I’m also lucky to say that Barbara is a friend. TUG is a beautifully written love story, the kind you want to read slowly but can’t, because you need to know what happens next. It’s also the kind of book that’s so vivid, you can pretty much smell the gardens Barbara describes. 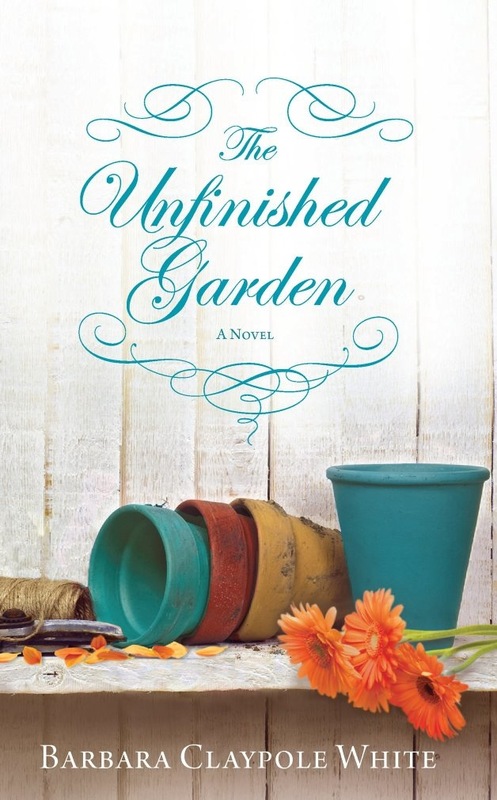 With insight and honesty Barbara shares with us how she came up with the idea for The Unfinished Garden, and how she is handling becoming a published author. Oh, and did I mention, her book launches TODAY? So happy book birthday to Barbara Claypole White — please welcome her to Women’s Fiction Writers!! Amy: How did you come up with the idea for The Unfinished Garden? Barbara: The Unfinished Garden, like my favorite flowerbed, evolved over a decade. There are many echoes of my life in the novel, but two what if moments really birthed the story. I was a stay-at-home parent in rural North Carolina with no income and no citizenship of the country I called home. When I first met my husband at JFK Airport, I was working for a London fashion designer and he was a tenured professor at the University of Illinois. How’s that for a random act of fate? My morbid dilemma—what would I do if something happened to my husband—became my heroine’s story. (He loves to tell people I killed him off in my novel.) I knew my heroine would be a gardener, because gardening is my therapy, but to understand the layers of her grief, I spent a summer interviewing a group of young widows. Before long, I had found Tilly. The second what if moment came several years later. James was not my original hero, but as I sought escape from my young son’s obsessive-compulsive disorder, my mind veered off on another dark tangent: What if, once my son grew up, no one could deal with his quirky behavior and obsessive thoughts? What if no one could ever love him the way I loved my husband? I didn’t set out to make a statement about OCD. I just wanted to create a believable character. Popular culture is littered with stereotypes of obsessive-compulsives. I love Criminal Minds—the television show—but if you pay attention, the words obsessive or compulsive often creep into the profiling of serial killers. And then there’s Monk, the brilliant television detective with the wipes-carrying assistant. Did anyone see the episode set in a classroom, when kids were laughing at him? Man, that one kicked me in the gut. Imagine your darkest fears. Now imagine living with them every moment of every day. That’s what it means to be obsessive-compulsive. To fight back demands incredible emotional strength and courage. That’s what I wanted to bring to James. He’s neither a victim nor a psycho. He’s a successful and compassionate entrepreneur who happens to be terrified of everything except for snakes. Which gives him one up on Indiana Jones. Amy: Your website says, “Love stories about damaged people.” Can you tell us about the kinds of stories you write—and how this theme evolved? Barbara: A few years back, I was fortunate enough to hear Irene Goodman speak at a conference. The topic was platform, and I spent the next month agonizing over what this meant for a fiction writer. How could I create an author brand if I didn’t have an angle? What was ‘my thing’? What kind of stories did I write? Those thoughts stayed with me until I was ready to query, and then the answers became obvious. OCD is an unusual hook for women’s fiction, and my second novel circles depression, dementia, and bipolar disorder. Seriously. But there was no master plan. I write emotional relationship stories about damaged people because that’s what I love as a reader. I’ve always been fascinated by mental illness—my aunt was schizophrenic—and I read lots of dark memoirs. Plus I’m a diehard romantic drawn to the idea that people who need each other, find each other. After all, I’m not far off my twenty-fifth wedding anniversary with a guy who picked me up at an airport. Amy: When you write your novels (and I know you’re working on # 2) what’s your process? Do you outline? Plot? Or just write by the seat of your pants? Barbara: Confession time: I didn’t think I had a process until I started book two, which is technically book three, if you count the first manuscript, hidden at the bottom of my closet. I’m not a plotter, but I am a researcher. Once I have an idea, I interview people and follow my instinct. At some point I start writing—normally while still researching—and then throw everything on the page. I did create goal/motivation/conflict charts and an outline for my work-in-progress, but they were merely brainstorming exercises. The act of writing things down gets ideas circulating in my head. I’m always scribbling character notes on colored stick-ums, which I plaster to my wall. And never look at again. I’m all about voice, so I have to keep excavating and rewriting until I hear the characters. No one sees my first draft because it’s crap, but valued readers see my second draft (which isn’t much cleaner than the first). By the third draft, I feel as if I’m pulling everything together. And then the fun begins: deep point of view. Yay. Amy: What has been the most surprising part of the publishing process? Barbara: When I started chasing this dream, it was because I wanted to write. And write. And write. But writing is only part of becoming an author, and these days I feel as if I’m guarding my writing time with a pitchfork. Living with OCD has helped. I’ve always encouraged my son to think small when he’s overwhelmed, so I break life into manageable chunks: Take my son to school (fifty-mile round trip), come home, check email, write, pick up from school (another fifty-mile round trip), be Ms Mom/chauffeur/house elf until after supper when I do promo and author stuff. Of course, my garden is now the neglected garden and my house is never clean. My big plan for Labor Day weekend? Scrub my bathrooms and kitchen. I’ve also realized that I need my friends more than ever. My gut reaction to all the craziness was to retreat, to shut everyone out. Big mistake. It takes a village to publish a novel and a community to keep you sane throughout the process. Your writer friends are the only people who can empathize with the madness; your non-writer friends will buoy you along with their excitement. Three friends are throwing a launch party for me next weekend, which includes a girls-only sleepover. Fuzzy slippers, wine, and jammies. Can you think of a better way to stay grounded during a book launch? But remember, there’s no separate category for women’s fiction on the bookstore shelves. Labels don’t matter. Only the story does, and the story has to have heart. Which makes me sound like Gene Hackman’s character in The Replacements. Now that was a fabulous chick flick—about football and male bonding. The feminist in me approves. Barbara: Persevere. Write, rewrite, repeat as necessary—and never give up. Accept that your path to publication will be littered with rejections, and let each no be a badge of your commitment to succeed. Rejection is the ugly step-sister of writing. Even after you’ve married the prince—or signed the pub. deal—it’s still coming to dinner once a week. I had to dump 90% of my work-in-progress before it became my second contracted novel. And thank God, because it was total rubbish. I have yet to receive my first one-star review, but when that happens, I’m going to treat myself to serious retail therapy. And write my heart out. Barbara Claypole White grew up in rural England with dreams of being a writer. So, armed with a degree in history, she became a publicist for London fashion. Passing through JFK one day, she fell in love with an American professor. Eighteen months later, she was a marketing director and a freelance journalist in the Midwest cornfields. But she had a secret: she was writing a novel. A really bad one. 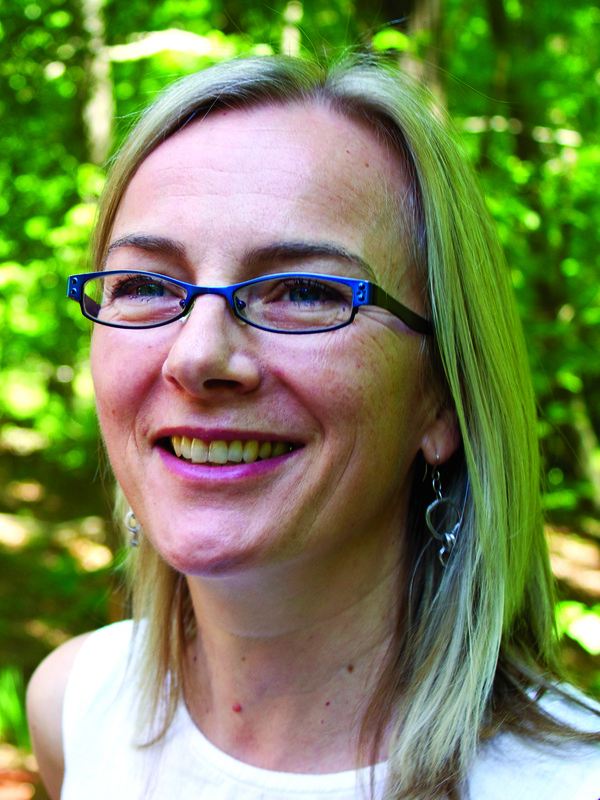 When her husband was offered a distinguished professorship at UNC Chapel Hill, they moved to the North Carolina forest, where she became a woodland gardener and a stay-at-home mom. Gradually, she carved out time to write each day, but it wasn’t until their young son developed obsessive-compulsive disorder that she started writing relationship stories about damaged people. She had found her calling. HIP HIP HOORAY! Congratulations, Barbara! Love the book!!! Happy launch day, Barbara! It’s finally here! Now you get to walk me back from the cliff while I wait (and wait) for mine to come out! This is seriously wonderful stuff. Wallow in it! Thank you, my friend. I shall wallow all day! What an exciting day for you, Barbara! Congratulations! Congrats, Barbara! I cannot wait to dig in and read your debut (yes, bad gardening pun there, sorry). 🙂 You must get a lot of plotting done in your head driving those 50-mile round trips, wow. Enjoy this special day! Congratulations, Barbara, and happy birthday to your debut! I’m rooting for you from NH! Congratulations, Barbara. I can’t wait to read this book. Barbara, I like what you said about following your instincts and persevering. It can be so hard to do this in the midst of rejection and indifference. Thanks for sharing your story. Can you recommend a Jodi Picoult book? I love your candid discussion of your writing journey! I can’t wait to read TUG. Thanks, Priscille. Can’t wait to read The Promise of Stardust! Wow, Barbara, I think I’ve met my reader-writer kindred spirit. I was chanting, “yes, yes, yes,” when you said “I write emotional relationship stories about damaged people because that’s what I love as a reader.” I have never been able to succinctly explain why I’m drawn to dark stories (reading and writing them). I think the best explanation I gave (and it was recently to a friend) was that I’m “fascinated by psychology and human dynamics and the brew of emotional reaction that comes from combining the two” – and, like you, I’ve always been fascinated by mental illness. Don’t tell anyone in my family or extended family, but I love to pyscho-analyze everyone during family gatherings. It’s our secret). Thanks, Amy, for the intro to Barbara and her work. And, now – of course – must get out and buy the novel! It sounds wonderful. And your message on perseverance came at a good time, as I continue to persevere with more edits to the WIP. Congrats on your success, Barbara. Oh, Barbara, I loved your post so much that I’m going to preorder your book RIGHT NOW! This is just great. I love how you told the story of your writing journey and wove in some of the most important pieces of the writing process, especially for overwhelmed mom writers: persevere and guard your writing time with a pitchfork were my two favorite bits there. Congratulations. I love the cover, too, by the way. Barbara, your book sounds wonderful and it’s on my TBR list! I understand the “widow” angle. My main character is a lot like me and her recently deceased husband is a lot like my very much alive husbuand. He laughs. Thank goodness. ; ) I like your difinition of Women’s Fiction. It really describes my works in progress. Thank you, Zan. And happy writing from the heart! I know there was a reason we’re Facebook friends!